Do you want to retrieve the list of installed speech recognizers in Windows Phone? The Windows Phone 8 SDK provides the static InstalledSpeechRecognizers class which includes the static property All of type “IReadOnlyList<SpeechRecognizerInformation>” to get the available speech recognizers in Windows Phone. 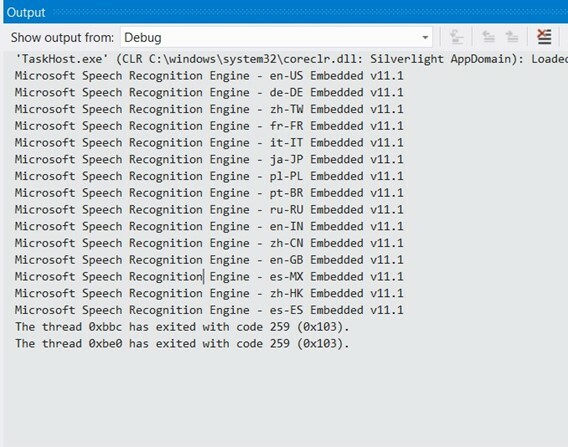 The below sample code retrieves the installed speech recognizers from Windows Phone and displays the description of the installed speech recognizers in the Output window.